Ka Ipu Kā’eo translates literally as “the full calabash.” The kauna, or figurative meaning, implies a container overflowing and abundant, a symbol of prosperity and immeasurable wealth and knowledge. Education, too, is a symbol of abundance and wealth. Not only does education prepare a person with skills and experience to choose an occupation and enter the workforce, it also gives a person the means to provide for their family and connect themselves to the larger community. 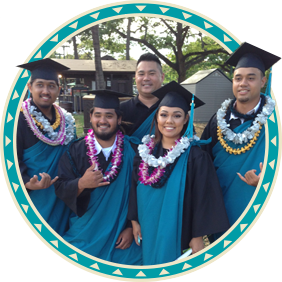 The Ka Ipu Kā’eo Department consists of programs focused on broadening and furthering education for Native Hawaiians. Career and Technical Education including health, culinary, and natural sciences, On-Going Training including professional certification classes, as well as STEM education are the emphasis of this department. Through further education, whether in the classroom or through apprenticeships or internship opportunities, it is hoped that participants may improve their skills and enrich themselves, their families, and their community. 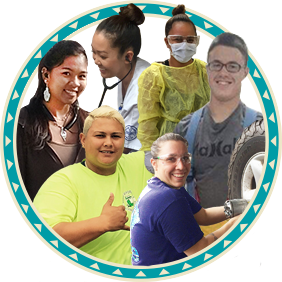 Our mission is to kōkua Hawaiian Natives who are committed to achieving their potential for themselves, their families and communities. 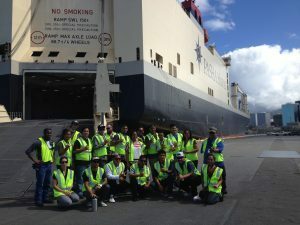 Your donations allow us to continue serving Native Hawaiians in our communities. Mahalo for your support!